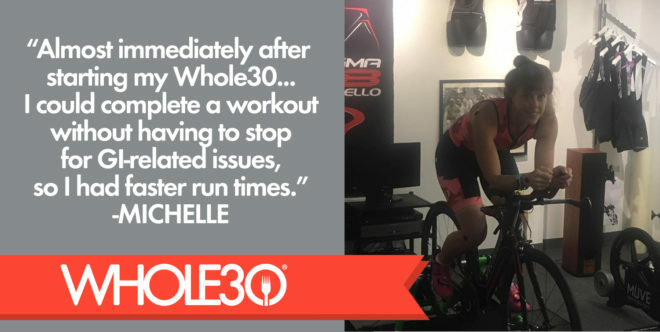 Michelle is a triathlon athlete who has competed in IRONMAN races all over the country and is currently training to compete internationally, representing Team USA in the ITU World Triathlon in Rotterdam, the Netherlands. 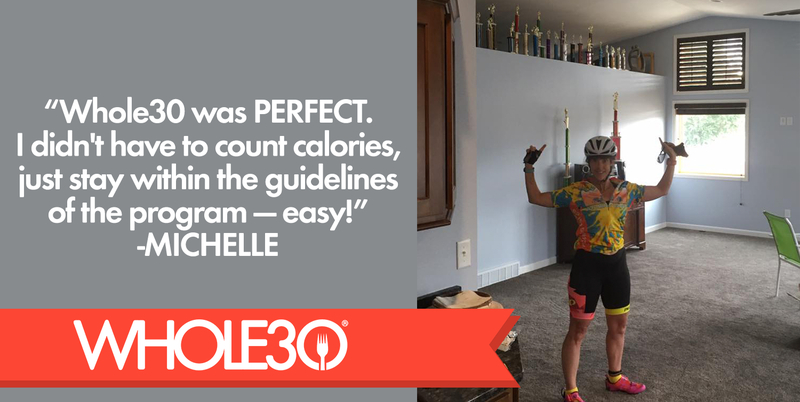 She’s also a Whole30’er who experienced fantastic non-scale victories; addressed several health concerns; and successfully trained for races during her Whole30 reset. When we heard from her a few months ago we knew we had to share her story. Michelle, an @ironmantri athlete and Whole30’er, shares her #IAmWhole30 story today on the blog. What did your diet look like before Whole30? My husband and I cooked at home a lot, I made homemade breads in the bread machine and tried to limit sauces, condiments and packaged products. I purchased fruits and veggies in bulk. I ate tons of dairy products, including the conventional chocolate milk for recovery after races. My cheat meals on Friday afternoons and Sunday evenings were loaded with drinks like margaritas, wine, and beer. 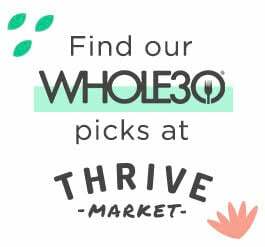 Why did you choose to do a Whole30? I was at a friend Dara’s house preparing for a trail run—a half marathon. Dara was starting a Whole30, and she explained it to me as a “not a diet” diet. At that time I was plagued with a stuffy nose and not being able to sleep. I also suffered from hot flashes! My sleep was so bad that I needed over-the-counter medication. I also experienced GI issues while running; I’d often need to “find a bush” and I kept a stash of toilet paper with me at all times. These issues were getting so bad that I considered seeing a doctor, but was afraid prescription medications would be the only treatment offered. I didn’t want to take prescription medication, especially to sleep. Did you continue your long distance training during your Whole30? 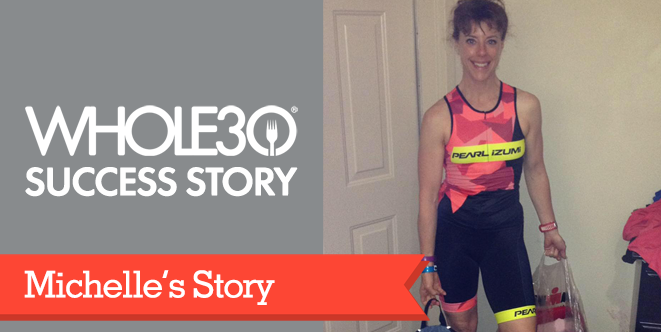 I started my Whole30 journey just before my training ramped up for two races: a 70.3 Ironman in Galveston, TX and a full Ironman in Houston, TX (the North American Championships). For several weeks, my 17-hour-a-week training schedule overlapped with my Whole30. How did you fuel longer runs, bikes and swims? When training for an Ironman you are always fueling. Fueling for recovery, fueling for the next workout, fueling for the current workout and eating all of the time. Whole30 was PERFECT. I didn’t have to count calories, just stay in the guidelines of the program—easy! I’d start out the morning with bananas; eat nuts on the way to morning swims; and recover after my training session with eggs sautéed in sesame oil, bok choy, and walnuts. Lunch was some sort of salad, like a cabbage slaw mix with hamburger and salsa on top. Before my afternoon workouts I’d load up on white potatoes. During my workouts I’d keep dates, raisins and cashews in a baggie and eat those whenever I felt like I needed energy. I drank plenty of water. After my Whole30 was over I still used the program guidelines to fuel during my Ironman race in Houston. I carried baked potatoes cut into bite size pieces in my cycling jersey; taped dates and nuts to my bike; and ate bananas on the course. My run was fueled by bananas, water, and a salt stick (and a Coke – because I was done with my Whole30!) at the end. I learned that I cannot drink Gatorade or use any kind of gel or goo without GI issues—I can count on having to be in the bathroom 35 minutes later! 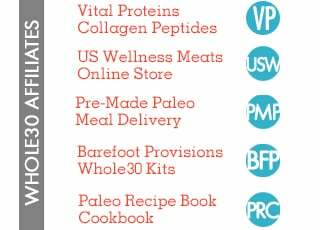 What were the performance benefits of your Whole30? Almost immediately after starting my Whole30 I was able to sleep through the night. I still had hot flashes, but I no longer needed any sleep aids in order to sleep. I could complete a workout without having to stop for GI-related issues, so I had faster run times.  I lost weight, and my power to weight ratio improved. I gained a fun factor I hadn’t counted on—speed. My lighter frame was easier on my feet, and my overall well-being improved. 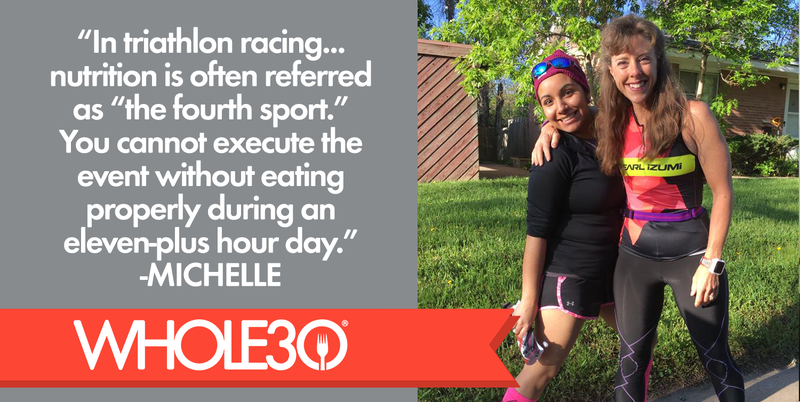 What food-related lessons did you carry over into your training and racing after your Whole30? I’ve found that gluten and dairy make my system revolt. After having either, my stomach bloats up. If I’ve had any kind of bread (pizza, flour shells or wraps, my homemade bread) I can’t breathe, it exasperates my GI issues when I run, and I feel bulky. It just zaps my energy. What is more important for maximum performance: how you feed yourself on a daily basis, or what you eat during the race? BOTH! In Ironman racing (in triathlon racing in general), nutrition is often referred as “the fourth sport.” You cannot train without the fuel, and you cannot execute the event without eating properly during an 11+ hour day. One more thought, on a personal note… before the Whole30 I thought the “gluten” thing was all bull crap, and “dairy intolerances” and “eating organic food” was all a bunch of whining. But, now I know first-hand what a difference it all makes. It all starts with food! Please note: This is Michelle’s experience, in her own words. The Whole30 is not a medical diagnostic tool, nor a replacement for working with a qualified healthcare practitioner. Speak with your doctor before beginning any new dietary or lifestyle program. Your results, as with anything, may vary.